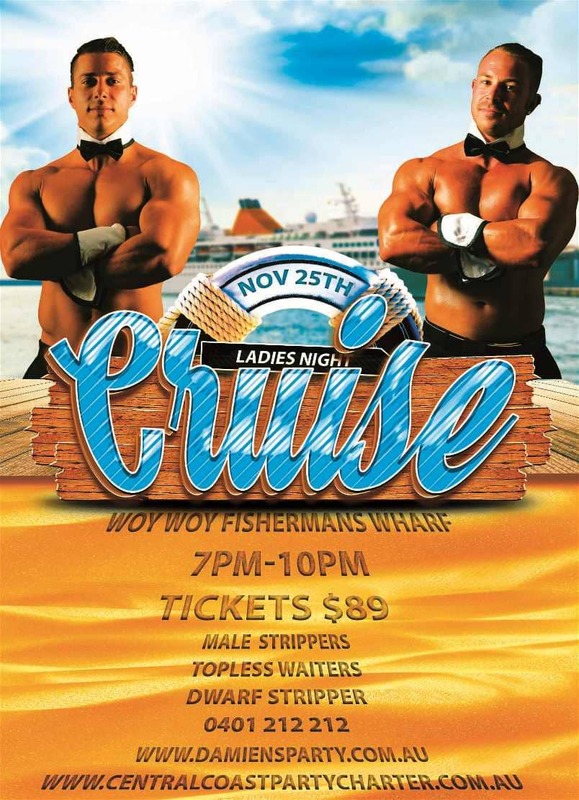 Get ready for the only ladies night EVER to hit the Water on the Central Coast! Back by popular demand we are cruising the water every month now! Forget any other companies advertising you may see ! We are the ONLY ones operating ladies nights that are actually on a boat outside of Sydney! Novemeber 25th 2016 is our next date for you to experience the ultimate girls night night out. New and exclusive to Damiens Party Entertainment, there is nothing else like this outside of Sydney! Your fantasy cruise will take place on the Beautiful Brisbane waters the most stunning picturesque and untouched place on the Coast. FREE drinks* and a cocktail dinner service! Tickets are limited so don’t miss out on this New exciting event to hit the Coast. To secure your tickets on line now simply click the following link. We look forward to seeing you on board soon for the best fun on the water you have ever had!